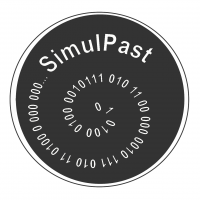 "Social and environmental transitions: Simulating the past to understand human behaviour (SimulPast)" is a scientific research project to develop computational simulation modelling methods for the social changes in ancient societies in relation with environmental transformations. The project has been funded by the Ministry of Science and Innovation of Spain under the Consolider Ingenio2010 call (CSD2010-00034) for the period 27/12/2010—26/06/2017. SimulPast is not following anyone.